With effect from 18th January 2010 up to 125,000 householders could qualify for a £400 voucher for scrapping their old boilers and replacing them with a more energy efficient A-rated boiler or renewable energy system. To qualify for a £400 voucher you must be a home owner, and the old boiler must be the main one used to heat the home. If you are the tenant of a privately owned property, your landlord has to apply. The boiler being scrapped must be in working order, unless you are over 60, in which case this requirement is not applicable. The scheme is currently open to residents in England only, and there is one voucher allowed for each household. Not only are A-rated boilers and renewable heating systems kinder to the Environment, but because they are more energy efficient, they can help you save money on the cost of your energy bills. Which boilers qualify for the scheme? G-rated boilers are usually very old boilers with an efficiency rating of less than 70%, and G-rated gas fired boilers will have a permanent pilot light. Your boiler will probably be eligible if it is a gas boiler over 15 years old, or an oil fired boiler over 25 years old. You can check the efficiency rating of your boiler here. 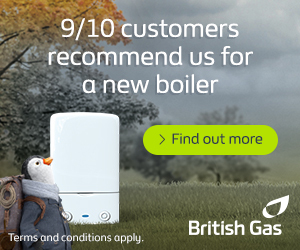 Alternatively, your installer will be able to advise you whether your boiler should qualify. How do I apply for the boiler scrappage scheme? 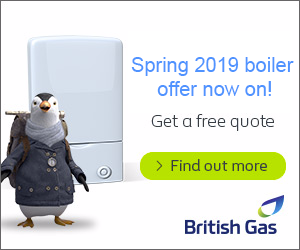 First of all you need to arrange for a qualified installer to give you a quote for changing to a new energy-efficient boiler, (You can request quotes by calling British Gas on 0333 230 5081 or use Boiler Guide). It will normally take up to ten days to receive your voucher, but you must receive the voucher before having the replacement boiler installed. Once your new boiler has been installed, you need to send your invoice together with your £400 voucher to the Energy Saving Trust. They should advise you of the address when you apply for your voucher, but you can check with them on: 0800 512 012. Once you receive your voucher it must be used within 12 weeks of the date of issue otherwise it will be cancelled. You can apply for another voucher providing funds are still available.